New Captain America photos and video! Well, kind of new. I know it looks like I’ve abandoned writing entirely, but I’m still writing all the time. I just don’t have much time to write here, which makes me sad, because every day I think of a dozen things I’d like to write about, and I get so overwhelmed that I don’t end up writing anything. A few weeks ago, my writing partner Kevin Rice and I got outrageously close to our second movie deal. It fell through due to circumstances beyond our control, but oh would it have been sweet had it happened. We’re working up some new ideas to take to the same producer per his request, and that’s where all of my spare time and energy has been directed these days. 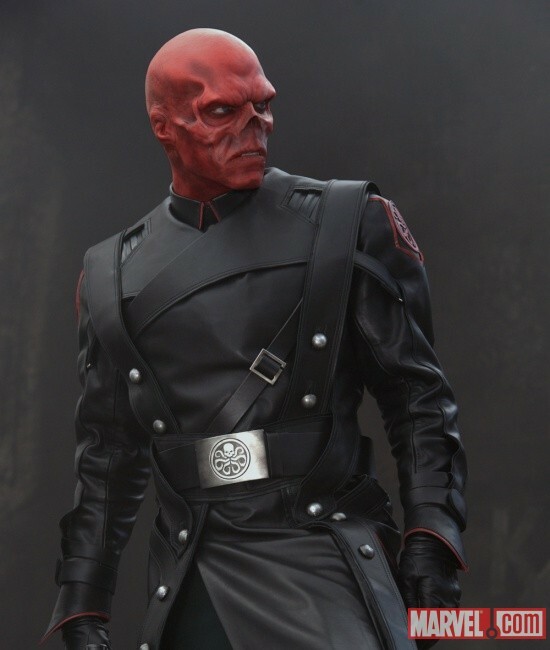 Marvel has released another batch of images, which you can see here. 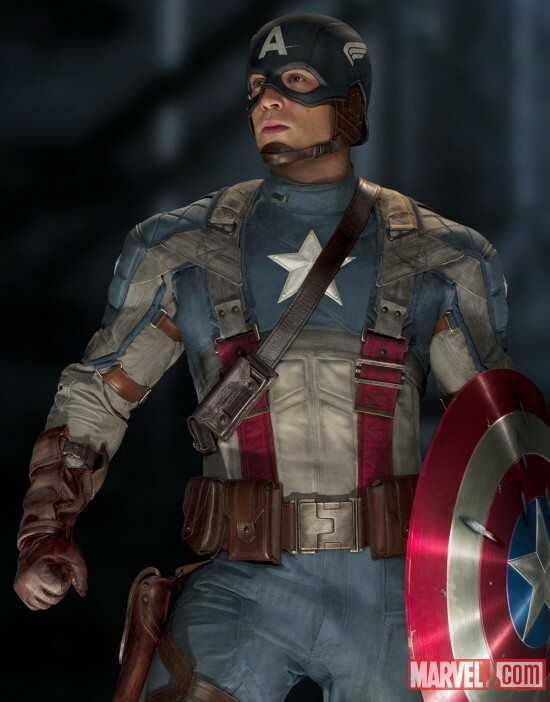 Chris Evans looks great in the costume, which looks absolutely awesome. It looks a little cartoony (which isn’t a bad thing) seen out of context in a still photo, but it looks really scary under proper lighting on film. … in the TV spot that ran during the Super Bowl. Make sure you watch the whole thing because there’s a lot more to see, including co-stars Tommy Lee Jones (as Col. Chester Phillips) and Stanley Tucci (as Dr. Abraham Erskine). Captain America wins the war his way on July 22! Official: Diane Lane is Martha Kent!